Thank You Box is a wonderful handmade box with two compartments. One is for 10x15 cm size Fine Art Prints and the other is for USB key. Box comes with wooden wool so even if you decide to place only a few prints inside, or just a note, it will still look great. 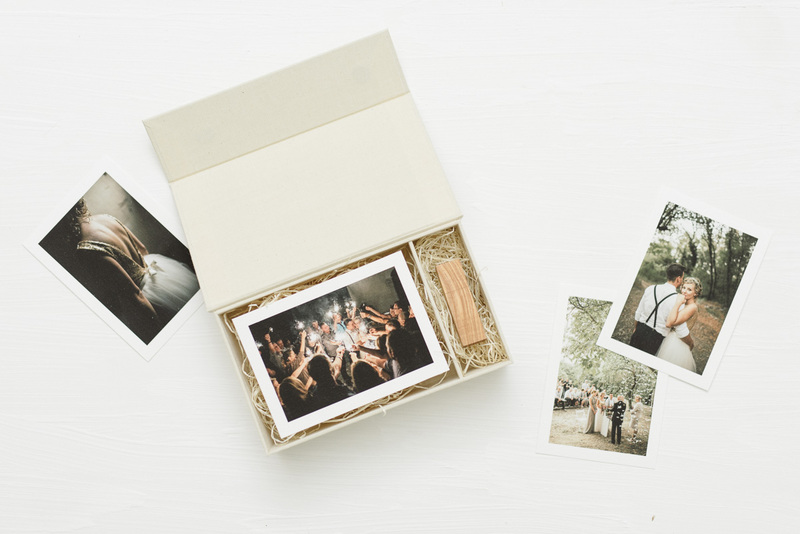 Box is 12.5 x 22 cm large and 6 cm high and is made to help you stand out when it comes to sending photos to your clients. Instead of just sending a USB, you can add a few of your favourite prints from wedding or portrait sessions and a personal note to really show how much you care about your clients. Box is available in 1 size with 12 cover colors, and a variety of ways to personalize it: engraving names, logos, debossing, hot foil, and many more.